Happy Golden Anniversar to (L-R) Jerry and Teresa Robinson. 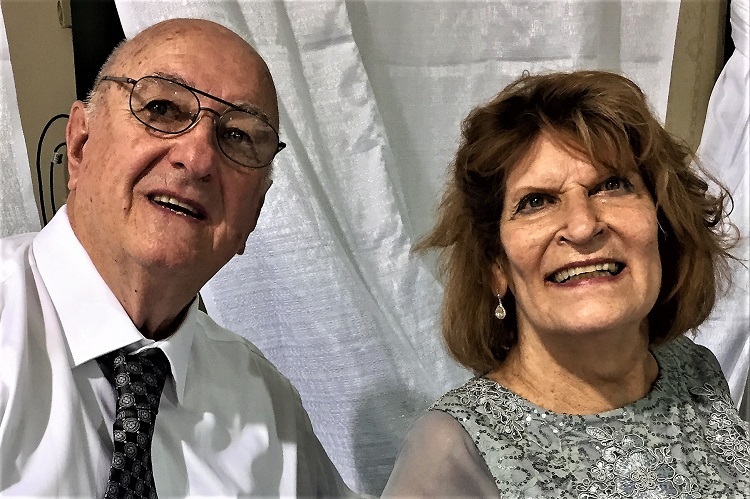 (MURFREESBORO) Sunday (10/7/2018) brought a milestone for Jerry and Teresa Robinson. Their Golden Anniversary took place in the standing room only family center at Temple Baptist Church on Minerva Drive. This loving couple helped their son, John, birth the Slick Pig Barbecue, and the rest is history. When asked to describe the ingredients to fifty-years of marriage, Jerry commented . . . In fact, the philosophy that Jerry just shared for a strong marriage, is also key the to a successful family business.The Slick Pig at 1920 East Main is truly a family business. It was created in the heart of Jerry and Teresa's son, John. Back in the 90's Jerry and Teresa lived in Georgia and were thinking about moving back to Murfreesboro. John, their son, was in his early 20s and managing a barbecue place there. He told his dad that he thought he might want to move back to the 'Boro too and start his own barbecue place. John, Jerry and Teresa agreed it sounded like a great idea. In 1995, John created Slick Pig's famous sauce and opened the doors to what is now a Murfreesboro tradition. It's just like Jerry and Teresa's Golden Anniversary, both the family and family restaurant run on love, understanding, encouraging and helping others--all for the Glory of God.